Just moments ago, Apple concluded the much awaited event with the announcement of the latest Apple iPhone and iPad. As expected, Apple announced the iPhone SE and the iPad Pro during this event with the added announcement of the Apple Watch, and the iOS 9.3. The Apple Watch was the first of the products to be launched during the event. The smartwatch sports new colors with a woven nylon band. The Apple Watch will come in a variety of colors with four layered construction. This new Apple smartphone is going to be available at a price on $299. Next came the announcement of the iPhone SE. As per expectations, the iPhone SE is a 4” device boosting the looks of the iPhone 5 and the power of the iPhone 6s. The complete package for Apple fans. The iPhone SE looks almost identical to the iPhone 5 just that it has more rounded corners. The smartphone packs a 64-bit Apple A9 Dual Core chipset clocked at 1.84 GHz with a M9 motion coprocessor. The GPU on the smartphone is the six-cored PowerVR GT7600. According to Apple, the iPhone SE will have the same performance level as the iPhone 6s.The iSight camera on the iPhone SE has a 12 MP resolution with Retina Flash and Focus Pixels. The phone will also feature the Always On “Hey Siri” feature, 4K video shooting, and Apple Pay. 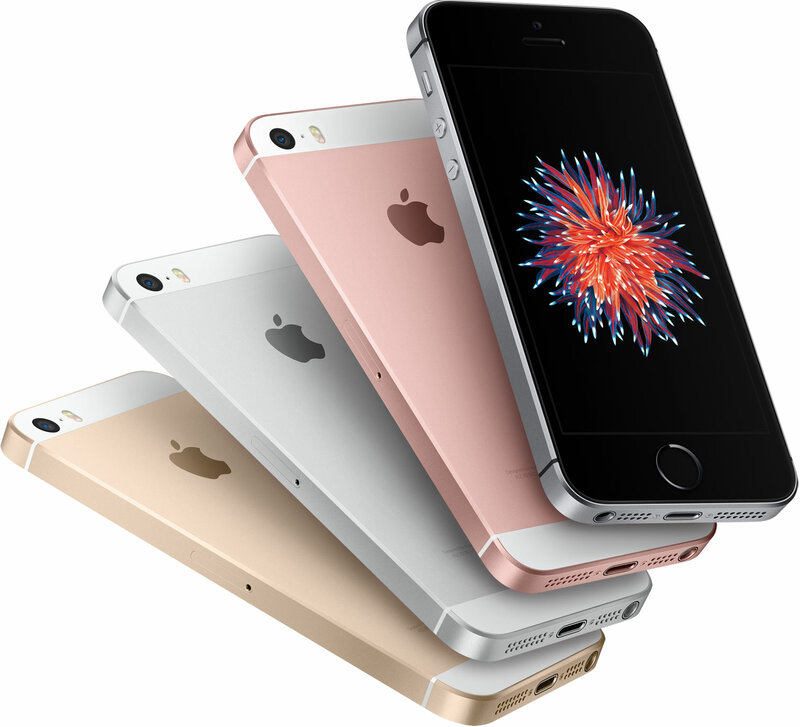 The Apple iPhone SE is going to be made available in 2 different versions – 16 GB for $399 and 64 GB for $499. There was no 32 GB version announced for the phone. The smartphone will officially be available in the markets on 31st March. 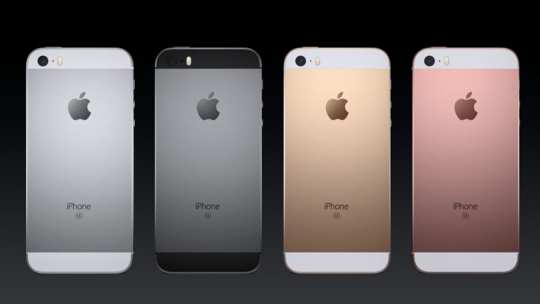 The color options for the smartphone include silver, rose gold, space gray, and gold. Apple Greg Joswiag’s, after announcing the iPhone SE, discussed the iOS 9.3. He claimed that 80% of current active iOS devices right now are running on the iOS 9.3. He also pointed out that only 2% of Android devices run on the latest Android Marshmallow (this made the crowd in the room chuckle). New feature in the iOS 9.3 include a Night Shift mode that enables a blue filter on the display at night time to help you rest your eyes and sleep better, a top stories section in Apple News, and CarPlay. CarPlay is an application that allows you to safely and smartly manage Apple Music and Maps while you’re driving. Finally came the announcement of the iPad Pro. 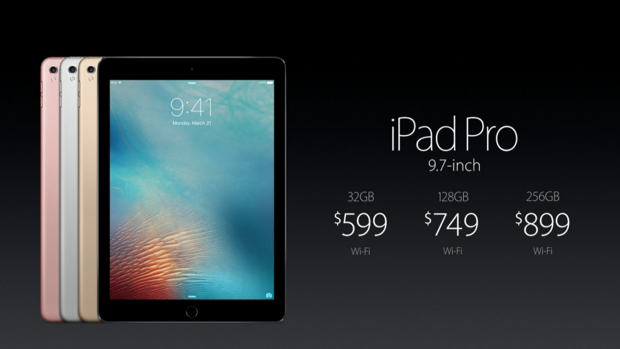 The iPad Pro is a 9.7” tablet that weighs only a mere 1 pound (450 grams). The chipset on the tablet is the same as the 12.9” iPad Pro, the Apple A9X. The tablet also comes with 4 GB of RAM and a Dual-Core Twister processor. The tablet also has a True-Tone display that, as Apple says, has the lowest reflectivity of any tablet. The 2048 x 2732 resolution screen has better color saturation and brightness than the previous iPad Air 2. In terms of appearance, the iPad Pro is much alike the popular iPad Air 2. Lastly, the other key features of the tablet include a USB and SD card reader, a 12 MP back and 5 MP front shooter, and support for the Apple Pencil. The Apple iPad Pro is going to be available in the markets from 31st March in two different models again – the 128 GB one for $749 and the 256 GB one for $899. It will be available in the colors silver, rose gold, gray, and gold. That’s it from our side. Stay tuned for more news and updates on the availability and pricing of these devices in Pakistan. The post 4 inch iPhone SE and iPad pro announced at Apple keynote event appeared first on TechJuice.